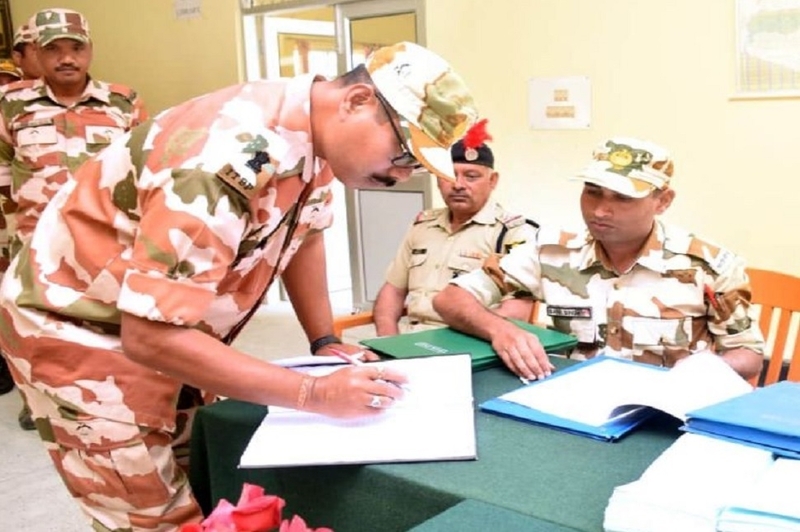 THE soldiers of Indo-Tibetan Border Police (ITBP) were the first to cast their vote for the 2019 Lok Sabha elections in Arunachal Pradesh on Friday as Service Voters. The first round of service voting by secret postal ballot began at 10 am on Friday at ITBP’s Animal Training School (ATS) located at Lohitpur in Arunachal Pradesh. The first vote of the country was cast by DIG Sudhakar Natarajan, head of ATS ITBP. Apart from the ATS unit of nearly 30 soldiers, other ITBP units deployed in the State also cast their votes through postal ballot. Nearly 5,000 personnel from the security forces voted, out of which close to 1,000 were from ITBP alone. Ballot papers have been despatched to Uttrakhand, Gujarat, Bengaluru, Bihar, Rajasthan, Haryana, Uttar Pradesh and many other places for the service personnel to vote. This year, the Election Commission has taken several steps to add more service voters in the election process. Awareness campaigns through electronic, social, print and other media were given due attention. This would probably be for the first time that a large number of service voters count is expected. Service voter belonging to defence and paramilitary forces have the option of either voting through postal ballot or through a proxy voter duly appointed by him/her.